After several years of turbulence, helicopter manufacturers hope to see the light at the end of the tunnel. 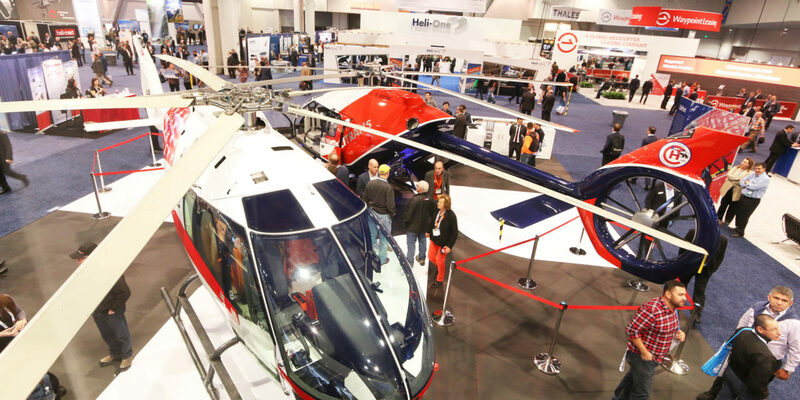 The Heli Expo ended with solid attendance figures: 17,312 visitors for 705 exhibitors and 51 helicopters presented at the huge Las Vegas convention center. It was close, but no record was broken this year, as Heli Expo had slightly better attendance figures in Dallas in 2017: 17,788 visitors for 731 exhibitors and 62 helicopters. These figures reflect fairly well the state of an industry that has suffered a great deal in recent years and is still struggling to recover. The price of petrol being too low is weighing down the oil and gas industry, and is systematically put forward to explain the current problems. And when the oil industry sneezes, everyone from the helicopter sector catches a cold, from big players (who serve the oil rigs) to the smaller ones, on which the pilots of the big ones are trained … At Las Vegas, most of the manufacturers present described 2018 as a year of consolidation or stability. Oil prices are starting to rebound slightly, and global economies also seem to be better off. Could rock bottom have been reached? Is the current stabilization a sign of recovery? 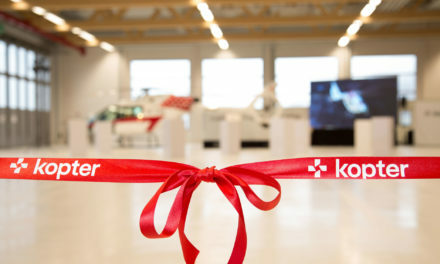 Unbeknownst to many, two helicopter manufacturers, Bell (ex-Bell Helicopter) and Kopter (ex-Marenco) turned up at the show with a new brand name. These new entities are a sign of optimism for a future which many hope will be brighter. Bell changed its brand a few days before the show, abandoning the word “Helicopter” and choosing as an emblem a stylized dragonfly. The US-Canadian manufacturer was the only one to introduce a new aircraft, or rather a new version of an existing one. The Bell 407GXi is indeed the third iteration of the Bell 407 since 2011. It follows the 407 GXP, with new avionics and a new engine. According to Garmin, the G1000 NXi suite brings improvements in terms of presentation, as well as an information processing speed five times faster than the G1000H already in use. The GXi will be powered by a Rolls Royce M250-C47E / 4 turbine with dual channel FADEC. The new engine will provide better performance in altitude and warm weather, fully automatic flight re-ignition and a cruising speed of 133 kt (246 km/h). The Bell 407GXi was certified by Transport Canada on January 19 and the first deliveries are expected for the middle of the year. Bell also announced that customers who ordered 407 GXPs will receive the GXi at no additional cost. 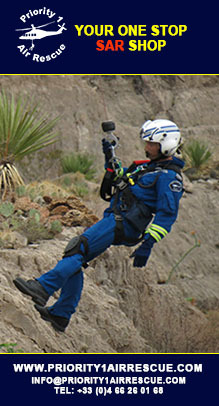 Air Methods, a launch client, signed up for six aircraft on the first day of Heli Expo. The first aircraft, in EMS configuration, will be delivered in 2019. As for the 505 model, Bell has announced plans to increase production in the coming months. 43 helicopters came off the Mirabel production line in 2017. Sales of a helicopter to the Sacramento police department and a version which falls under “Electronic news gathering” were announced during the show. 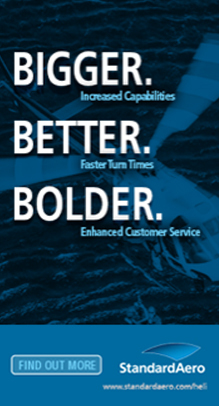 It should be noted that with the 505 model, Bell is today the last major helicopter manufacturer, with MD, to offer light single-engine helicopters in the less than two tons category. Airbus Helicopters has indeed announced the halt of the H120 last year and Leonardo has stopped the development of its AW009 extrapolated from the Polish SW-4. Competition in this mass range now comes from Robinson whose R66 continues to act as a spearhead. The R66, of which 77 were sold last year (out of a total of 305 sales for Robinson), deftly took the market from the JetRanger 206 when Bell ceased production in 2010. In the category of “super medium”, Bell looks forward to the release of its 525 “Relentless” model that will compete with the H175 and AW189 already on the market. The manufacturer announced that the two remaining prototypes, FTV2 and FTV3, have accumulated nearly 200 hours of flight since the resumption of testing last July. The fourth prototype, FTV4, is expected to take to the air in the fourth quarter of this year. Heli Expo was also profitable for Leonardo, which announced the sale of 26 aircraft to its Chinese distributor Sino-US Intercontinental Helicopter Investment. 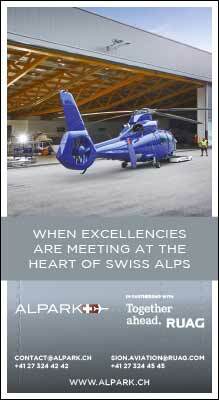 The order includes seven single-engine AW119K, 15 light twin-engine AW109 Trekker and four twin-engine AW139. This sale brings the number of aircraft placed by Leonardo in China via this distributor to 110. Airbus also fared well during the show with the sale of 25 EC145e to Metro Aviation. According to the latter, the EC145e combines the advantages of a large cabin with very low costs, rather rudimentary avionics, in any case sufficient for operators flying mostly in VFR. 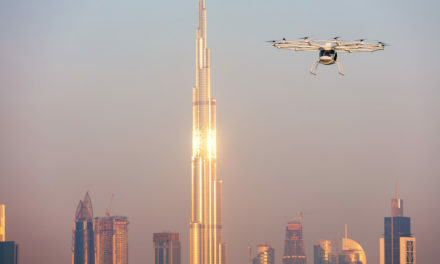 Avoiding the sophistication of avionics also results in an unladen mass gain of more than 150 kg, which can result in the carriage of a second patient or additional fuel equivalent to one hour of flight. Airbus Helicopters is doing a good job with this contract which allows it to give more scope to its American subsidiary who will assemble the aircraft in the Colombus, Mississippi plant, alongside the UH-72 Lakota for the Pentagon. The aircraft are also very similar. Deliveries have already begun and are expected to continue for about four years. It should be noted that Metro Aviation had already been the launch customer for this low-cost version of the EC145 in 2015. The operator already uses six of these in the United States. Later in the show, Airbus Helicopters announced 17 additional sales of its light helicopter range: seven H125s and three H130s for Heliflite China, four H125s for Helicopter Travel Munich, one H125 for Noevir Aviation, one H130 for Auto Panther and an H135 for Nakanihon Air Service. It was literally in the last few minutes that the manufacturer finally communicated the name of a launch customer for the H160, which they presented for the first time in public. It will be Babcock, who will receive an indeterminate number of aircraft. The purchased fleet will be set up initially on European bases before gradually spreading to the rest of the world. Airbus Helicopters had sent the second prototype of the H160 to Las Vegas, which continues for the time being its “demo tour” of three months across the United States. After this escapade, the aircraft will be engaged in “hot and high” tests in Leadville, Colorado. The three prototypes of the H160 have accumulated more than 650 hours of flight to date. MD is also enjoying good fortune as, in 2017, they have had the best year since its redemption by the person at the helm, Lynn Tilton. The year was driven by sales of MD530 in the military market in Afghanistan, Kenya and Lebanon, supported by the US government. Forty-two aircraft are currently on the assembly line and to cope with the increase in its activity, MD hired a hundred workers last year, bringing its workforce to about 500 people. The helicopter specialist was displaying an MD530F for the Virginia Beach Police and the first of six armed MD530Gs destined for Malaysia. Apparently busy with these sales and ramp-ups, Lynn Tilton’s firm did not seem to have the opportunity to make much progress on the development of the single-engine MD6XX announced last year. The aircraft, which will take over the fuselage of the MD600N with a conventional anti-torque rotor, will arrive on the market by 2020. Let’s save the most surprising for last: Kopter, previously Marenco, who announced 23 firm sales and eleven options for his SH09 during the show. The Mollis helicopter manufacturer (near Zurich, Switzerland), who exhibited the prototype P2 and an exhibition model on its stand, is resolutely moving towards industrial development under the leadership of its new CEO, Andreas Löwenstein . The Norwegian operator Helitrans has signed for twelve firm aircraft and six options. A very good result for the new entrant in the turbine single-engine market, which currently totals 189 firm sales and options. For Kopter, the market is doing well, no doubt about it! A difficult year for Sikorsky who delivered only one S-92 last year. The headline for the helicopter manufacturer is essentially military with the further development of the CH-53K and S-97 Raider. This was evident through the presence of a FireHawk during the show, as Sikorsky continues to capitalize on the success of the Blackhawk. The water bomber helicopter was sold to two government departments in California, Los Angeles County County and Cal Fire. Another big development for Sikorsky is the sale of the Schweizer range earlier this year. 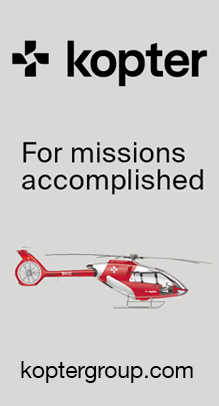 The helicopter manufacturer based in Stratford, Connecticut, has sold the Schweizer helicopter type certificate, tooling and all spare parts to the Schweizer RSG company (created for the occasion). 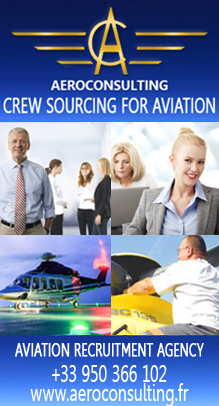 RSG (Rotorcraft Services Group) is a Fort Worth, Texas based helicopter maintenance and engineering group, already working as a subcontractor for Sikorsky. 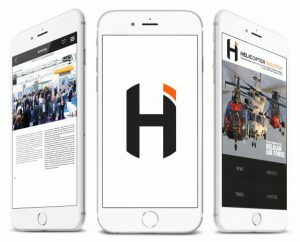 “We believe in the development of the light helicopter market,” explained David Horton, CEO of Schweizer RSG and former the Sikorsky Director of Schweizer. 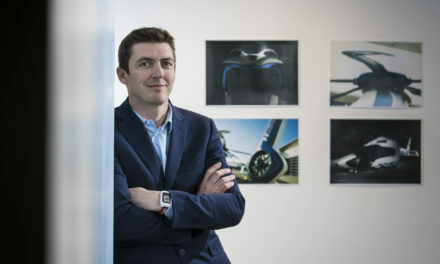 The new company’s priority now is to reconnect with existing aircraft operators, re-energize the commercial network and re-market all the parts needed to continue operating the aircraft still in use around the world. It would seem there are more than 2,000! 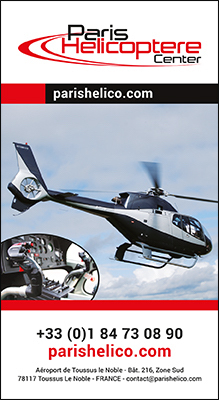 Airbus announced the selection of the Aneto Safran Helicopter Engines for the Racer engine during Heli Expo. This demonstration of technology, which will overtake the X3 in the race to “economically profitable” speed, will be powered by two Aneto-1X 2500 HP each. 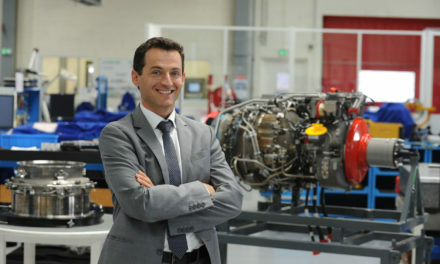 According to Safran, Aneto will offer 25% more power than existing engines of comparable size. The Racer will also be the first device to benefit from the Safran Power Pack Eco Mode configuration, for better power management. This economical mode will allow the pilot to place one of the two engines idle during the flight, with an expected fuel economy of approximately 15%. For certain phases of the particular flight (acceleration, landing, emergency situation), the engine put on standby can be automatically reactivated and in a very short time at its maximum power level.